"Carpentersville" redirects here. For the community in Indiana, see Carpentersville, Indiana. For the community in New Jersey, see Carpentersville, New Jersey. "Building a better tomorrow today"
Location of Carpentersville in Kane County, Illinois. Carpentersville is a village in Kane County, Illinois, United States. The population was 37,691 at the 2010 census. Carpentersville is located at 42°7′16″N 88°16′29″W﻿ / ﻿42.12111°N 88.27472°W﻿ / 42.12111; -88.27472 (42.121156, -88.274679). According to the 2010 census, Carpentersville has a total area of 8.097 square miles (20.97 km2), of which 7.9 square miles (20.46 km2) (or 97.57%) is land and 0.197 square miles (0.51 km2) (or 2.43%) is water. Julius Angelo Carpenter (August 19, 1827 – March 30, 1880) was the founder of Carpentersville, Illinois and its first prominent citizen. Carpenter came with his family from Uxbridge, Massachusetts and settled near the Fox River, along with his father Charles Valentine Carpenter and his uncle Daniel. Angelo was the first person to settle Carpentersville. Carpenter built the settlement's first store, bridge, and factory. He served two consecutive terms in the Illinois House of Representatives. In 1837, the brothers, en route to the Rock River, made camp along the east bank of the Fox River to wait out the spring floods that made continuing their oxcart journey impossible. They ended up staying in the area to settle what was then called Carpenters' Grove. For the next hundred years, Carpentersville did not grow as rapidly as other Fox River communities which had more direct rail connections to Chicago. The electric interurban railroad came to Carpentersville in 1896. The line was built by the Carpentersville, Elgin and Aurora Railway from a connection with the streetcar system in Elgin, Illinois and ran for four miles, terminating at the Illinois Iron and Bolt foundry on Main Street. This company changed ownership several times, including the Aurora, Elgin and Chicago Railway. It ended up being owned by the Aurora, Elgin and Fox River Electric Company in 1924. This line was always operated separately from the rest of the system, which included all traction lines between Carpentersville and Yorkville. This was a great convenience to factory workers who traveled to Elgin and for Elgin workers to come to Carpentersville. The line was used by everyone to enjoy Elgin's Trout Park and to enjoy the "summer cars" for a cool ride. The line started to fail with the onset of the Great Depression and the establishment and paving of Illinois Route 31, which encouraged automobile use and the creation of a bus route. The final blow came in 1933, when a tornado destroyed the bridge over the Fox River just south of West Dundee. Until the 1950s, Carpentersville consisted of a street grid along the Fox River centered on Main Street, which was the only highway bridge across the Fox River between Algonquin and Dundee. The Meadowdale Shopping Center, which was anchored by Wieboldt's, Carson Pirie Scott, Cook's and W.T. Grant; it also featured an indoor ice skating rink, overshadowed the commercial district along the River. A large section of the shopping mall on the north side was torn down in the 1990s and a new post office building was built. In 1956, to reflect this population shift, Dundee Community High School relocated from its former site on Illinois Route 31 to Cleveland Avenue (now Carpentersville Middle School). In 1964, a second high school, named for Irving Crown, opened on Kings Road on the northern edge of Meadowdale. The two schools have now merged. DeLacey (one of the schools built on Kings Road) was closed and demolished, and was remade on Cleveland Ave.
From 1958 to 1969, Carpentersville was home to the Meadowdale International Raceway, a 3.27 miles (5.26 km) long automobile race track located west of Illinois Route 31 which was also started by Besinger. The site is now a Township Park and County Forest Preserve. Carpentersville operates under the council-manager form of government in which an elected Board, consisting of the President (chief elected official) and six Trustees, appoints a professional manager to oversee the day-to-day operation of government services and programs. The council-manager form of government combines the leadership of elected officials with the experience of a professional manager. Community Unit School District 300 including Dundee-Crown High School and Carpentersville Middle School. As of the census of 2010, there were 37,691 people and 11,583 households in the village. The racial makeup of the village was 62.9% White, 6.8% African American, 0.5% Native American, 5.5% Asian, 0.04% Pacific Islander, 20.9% other races, and 3.2% from two or more races. Hispanic or Latino of any race were 50.1% of the population. For the census of 2000, there were 30,586 people, 8,872 households, and 7,239 families residing in the village. The population density was 4,105.4 people per square mile (1,585.1/km²). There were 9,113 housing units at an average density of 1,223.2 per square mile (472.3/km²). The racial makeup of the village was 68.76% White, 4.18% African American, 0.64% Native American, 1.98% Asian, 0.10% Pacific Islander, 20.83% from other races, and 3.50% from two or more races. Hispanic or Latino of any race were 40.57% of the population. There were 8,872 households out of which 48.6% had children under the age of 18 living with them, 63.1% were married couples living together, 11.5% had a female householder with no husband present, and 18.4% were non-families. 13.9% of all households were made up of individuals and 3.9% had someone living alone who was 65 years of age or older. The average household size was 3.45 and the average family size was 3.77. In the village, the population was spread out with 33.2% under the age of 18, 10.9% from 18 to 24, 35.4% from 25 to 44, 15.3% from 45 to 64, and 5.3% who were 65 years of age or older. The median age was 28 years. For every 100 females, there were 106.7 males. For every 100 females age 18 and over, there were 106.2 males. The median income for a household in the village was $54,526, and the median income for a family was $55,921. Males had a median income of $38,052 versus $26,957 for females. The per capita income for the village was $17,424. About 6.7% of families and 8.5% of the population were below the poverty line, including 11.5% of those under age 18 and 4.2% of those age 65 or over. Carpentersville has many attractions, which bring growing popularity to the city. Meadowdale Shopping Center, including a Walmart Supercenter, which opened in 2016. Village Fresh Market replaced a Jewel Osco and caters Mexican grocery goods to the Hispanic population and others in the community. Mexican Restaurant in Amigo Plaza on 91 J.F. Kennedy Dr. The 1990 census showed 17% of the population as Hispanic or Latino, and as of 2016 that number has risen to 52.3%. Latinos hold a strong presence in the community as the continuous growth of business catered towards Mexicans specifically continues to grow. Village Fresh Market is an example of the expanding businesses that are established for Mexicans. Tamauzula Tacos located in Amigo Plaza on 91 J.F. Kennedy Drive is one of the many Mexican restaurants Carpentersville is home to. La Illusion, a mini supermarket is also on J.F. Kennedy Drive which also has a restaurant inside along with a Mexican bakery. Taxi Leon is a cab service that many Hispanics also utilize if they need a ride, as it is a Mexican cab company that speaks Spanish. Such businesses so close in proximity have spurred the growth of others, such as the new Super Wal-Mart that is across the street from the Village Fresh Market and opened in 2016. Wealthy neighboring communities, such as Barrington Hills, also provide income opportunities for Hispanics and others in Carpentersville. Many home care businesses such as Jr. Landscaping, Rodriguez Pools, and Midwest Crystal Pools are corporations that employ Mexican workers. All are companies that have sprung up in the last ten years and have achieved on going steady work opportunities catering to the surrounding wealthier white communities. The village's parish, Santa Monica, is a Roman Catholic church. In the 1990s most of the preachers were white males and today they are Hispanic. Five out of the six Sunday masses are given in Spanish for the large Mexican population that visits the church. The church of Iglesias San Esteban Martir on 225 Kennedy Memorial Drive has been a contributing factor to the increase in Hispanics in Carpentersville. It hosts an annual mobile consulate from The Consulate General of Mexico in Chicago to apply for an identification card or a ‘matricula’. On average they issue around 300 per day. Bank of America has also helped host the mobile unit as it provides a method for Hispanics to be able to open a bank account. It provides a way for them to take out loans for home ownership and are also able to send up to $3,000 cash to Mexico if they desire. Much like the segregated community of Chicago, Carpentersville has increasingly seen enclaves of Hispanic people integrating themselves to their new communities because of the familiarity of the culture along with opportunities for employment and issuing of identification cards without having to go directly to The Consulate General of Mexico in Chicago. However, there have been complaints about the new found Mexican culture in the Village. In 2007 the Village of Carpentersville passed an English Only Ordinance introduced by village board trustee members, Judy Sigwalt and Paul Humpfer. Despite the mass protests outside of village hall by the Hispanic community, the ordinance passed 5-2. Gia Gunn, drag performer, reality television personality, and trans-activist. Bradie Tennell, winner of the 2015 U.S. Figure Skating Championships and 2018 U.S. Figure Skating Championships ladies competition. ^ "G001 - Geographic Identifiers - 2010 Census Summary File 1". United States Census Bureau. Retrieved 2015-08-02. ^ "Wayback Machine". Web.archive.org. 5 February 2012. Retrieved 3 October 2017. ^ "Carpentersville, IL". Encyclopedia.chicagohistory.org. Retrieved 2016-02-16. ^ "Website Disabled". Meadowdaleraceway.homestead.com. Retrieved 2016-02-16. ^ "Kane Co., IL: Forest Preserves - Raceway Woods". Web.archive.org. 22 June 2006. Retrieved 3 October 2017. ^ "Board of Trustees". cville.org. Retrieved 2016-02-16. ^ "Barrington Community Unit School District 220". Web.archive.org. 3 July 2006. Retrieved 3 October 2017. ^ "Race, Hispanic or Latino, Age, and Housing Occupancy: 2010 more information 2010 Census Redistricting Data (Public Law 94-171) Summary File". Factfinder2.census.gov. Archived from the original on 2011-05-20. Retrieved 2016-02-16. ^ "American FactFinder - Results". factfinder.census.gov. US Government. Retrieved 27 September 2018. ^ "Classic Cinemas - Cinema 12". Classiccinemas.com. Retrieved 3 October 2017. ^ "Carpentersville, Illinois - Village of Carpentersville, Illinois-Carpentersville Parks". Cville.org. Retrieved 3 October 2017. ^ Ruiz, Alexia. "Mexicans Line Up for ID Cards, Passports." Daily Herald, June 30, 2005. ^ Ruiz, Alexa (June 30, 2005). "Daily Herald". Daily Herald. Retrieved Dec 8, 2015. ^ Kotlowitz, Alex (2007-08-05). 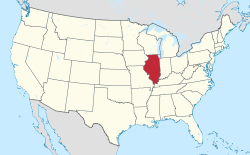 "Immigration - Illegal Immigrants - Labor - Families and Family Life - Illinois - Carpentersville". The New York Times. ISSN 0362-4331. Retrieved 2015-12-09. ^ "Drag Queens That Could Convince Any Man To Go Out With Them". TheDailyBuzz. Retrieved 2018-06-14. ^ Nagel, Rich, ed. (January 10, 2018). "A Cinderella Story: Carpentersville Woman Emerges as Olympic Figure Skating Team Favorite". Kane County Connects. Geneva, Illinois: Kane County, Illinois. Retrieved January 10, 2018. Wikimedia Commons has media related to Carpentersville, Illinois.